Be the light. Focus on Gratitude. I think it’s safe to say that 2017 has been a challenging year. We are all effected by what is going on around us, either in our personal lives or globally. We are microcosms of the macrocosm. In addition to our work, health, family, friends and personal life that we have dealt with this year, there has been a tremendous amount of other issues that have had an effect on us. Political conflict, changes in our government, a number of environmental disasters, an increase in mass shootings and violence, racial conflict and civil unrest are just a few of the many topics swirling around us this year. So as 2017 comes to a close, let’s actively focus on gratitude every day. This year, I am grateful for so many things. I appreciate that I am healthy and that my family continues to thrive in good health and wellness. 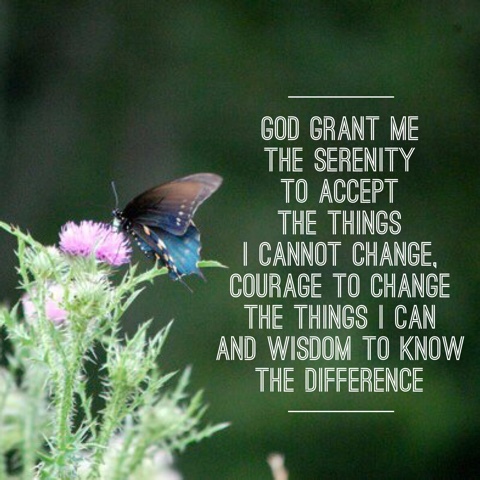 I am grateful that I have had the wonderful opportunity to help others through my counseling practice. I am so very grateful for my tribe… my beautiful friends who support me through difficult times, acknowledge me for my quirks and idiosyncrasies and who value our friendship. I'm grateful for new information and new energy that I've been exposed to this year that has helped me to grow and learn. I am grateful for my wonderful dog Flaco who loyally stays by my side and helps people who come to see us in the office with unconditional love. I am grateful that my community here in Southwest Florida, for the most part, survived hurricane Irma when a direct hit was expected. I am grateful for the opportunity to live in a democracy where we have the freedom to create change, express our opinions and haggle over conflicting viewpoints and interpretations of our Constitution. I'm grateful to live in a Democracy. As we move forward into the holidays, let’s keep our focus on being present. Be aware of our surroundings, our people, our breathing, our emotional state. The holidays bring on a special kind of anxiety just by the very nature of what they are and our societal expectations surrounding the holidays. The holidays also bring special opportunities for us to grow and change. As we close on a very stressful year, let’s keep our focus on maintaining balance and appreciating all of our blessings. Offer peace. Stay present. Love big. Hug each other. Express thanks. Be where you are. Be your authentic self. Carry the light forward. Be joyous. Take time to take care of yourself. Appreciate everything for everything brings new opportunities to learn, to grow, to be. Be kind. Be patient. Be grateful. Be still. What are you grateful for? Share in the comments below. Have a wonderful Thanksgiving! Summer Fun and Gun Violence? How Do We Handle That? It's a time for kids to feel happy, go swimming, stay up later than usual, take trips with the family, play outside, maybe attend camp and generally de-stress. For parents, even for those parents who have to work every day, it's a time for a slightly slower pace and less structured obligations. 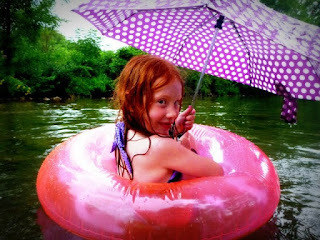 Summer is the time most folks take a little time off for vacations and household repairs. It's a time for families to be together and regroup before the fast pace of fall starts up again. This is exactly what I had been doing. Every summer, I take 3-4 weeks off so we can visit family in Virginia and go on family adventures. The kids go to camp. I'm able to read a book and relax. The return home usually means home improvement projects, closet purges and a series of medical and dental appointments. I was right in the middle of that dental appointment situation when a reporter from The News-Press called me. She was writing an article about how parents and kids can enjoy summer when all of the awful news about bombings and shootings and terrorism was happening on a national and international front at an alarmingly regular pace. I talked with her about what parents can do based on the child's developmental age... keep young kids away from the news.... have conversations about history/politics/safety/terrorism with high school kids, etc. I also suggested that when bad things happen, we have to continue on in joy as a testimony of survival and facing fear head on. We must live life to the fullest every day and be grateful for all of our many loved ones and blessings even though terrible things are happening. You can read the full article by Janine Zeitlin right here. This morning, I woke up to my alarm clock and a notification from CNN on my phone. I was bleary-eyed, but was able to read that "CNN" and "Fort Myers" were in the same sentence. It had happened here in my town... a mass shooting within two miles of my home and office. CNN reported that a mass shooting had occurred at a "safe party" for children ages 12 - 17 at a local nightclub. Fort Myers is short on places for teenagers. The club offered a summer themed beach party and music for the kids. No alcohol was served and there was security. As parents lined up outside to pick up the children after the night time party, the shooting happened. Two teenagers were killed and seventeen were injured. Details are still coming in and no arrests have been made as of right now. There are many more questions than answers. My heart dropped down into my stomach as I peeked in on my still sleeping three daughters who are in the same age range as the victims. The usual racial ranting and negativity was present on social media in response to the shooting. Blame was cast upon the night club and judgment was passed on the parents who allowed the kids to attend the gathering. It's human nature to default to blame and judgment. We can't understand senseless violence, so we're looking for someone to accuse. While the outrage and shock and grief is normal, the judgment and blame is not helpful or healthy. The reality is that this kind of thing can happen anywhere. Parents allow kids to attend gatherings today in 2016 just like parents allowed kids to attend gatherings back in 1982. I clearly remember piling a bunch of friends in my car and driving off to dance and skate at the "midnight skate party" back in my hometown in Alabama. But times were different then. This situation is not the fault of the parents. It's summer. Events occur that are special and outside of the normal routine. We expect that safety is a given. We don't attend events expecting violence to be present.... just like those watching fireworks in Nice, France didn't expect violence. We have to be very careful with the way we handle all of this. Use your anger and frustration and grief to advocate, promote peace, address needed policy changes as you like. Use your outrage to help motivate your voting. Use your desperation and fear to talk to your children about the importance of safety and alertness. More importantly, use your love to be present and enjoy summer with your children. Hug your family members more. Be present. Be grateful. Stacey Brown is a Licensed Mental Health Counselor practicing in Fort Myers, Florida. Sign up for her newsletter and follow on Facebook, Instagram and Twitter so you can stay in touch. There is so much sadness in the world today. Hearing and reading about death, violence and tragedy on a daily basis wears on us. With our seemingly unlimited and relentless stream of media that bombards us through radio, television, smart phones, newspapers, magazines, podcasts and other sources, I know that I feel overwhelmed. Grief and loss are real. When we hear about tragic events and feel empathy, shock and sadness for the people involved, it effects us deeply and drains energy. If we become obsessed with the news, watching it or reading about it over and over, we can also easily become traumatized secondarily from repeated exposure to these events. Some people I have talked to have reported nightmares, constant thinking and ruminating about the events and emotional reactions like crying. This is all very common as it relates to trauma. We have to keep functioning. We have to go to work and make dinner for our family and deal with our lives.... even while our hearts are hurting. But, at the same time, we need to stay informed and educated about world events. We have to take care of ourselves while we are processing it all. 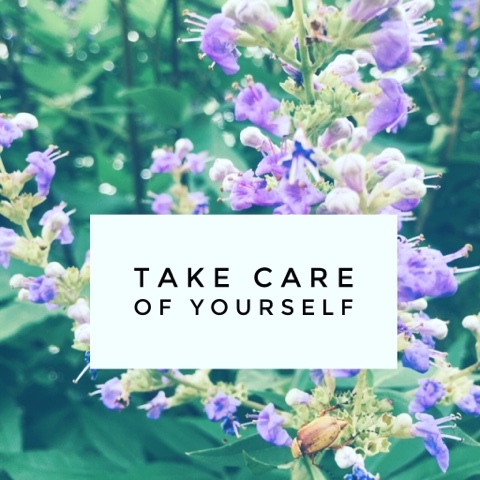 Make taking care of yourself a priority. Breathe deeply. Exercise. Trim your nails and take long baths. When we get discouraged and feel hopeless, self care is often one of the first things to do. And, when we are stressed and worried, taking care of ourselves is the most important thing. Don't get confused. Spend time with those you love. As we have learned over and over again, and most recently, these past few weeks, life is fleeting. It's all a very delicate balance. Anything can happen at any moment to change your life forever. Be present. Say things you want to say to people you love. Hug intensely and kiss often. Take care of each other. Play. Smile. Interact. Be interested. Listen. Focus on gratitude and appreciation. Being grateful and appreciating all that you have can be easily dismissed or overlooked when you are feeling depressed or stressed. Remember to be grateful in every moment... regardless of your situation and surroundings. Where you are right now might be as good as it gets. Focus on being present and recognizing your many blessings in this, and every, moment. Limit the amount of time you watch and read the news. It's important to be informed. It's important to understand history in the making. It's critical to understand safety issues. It's easy to become obsessed. Limit yourself to just checking in three times a day... or limit yourself to 15 minutes of news review at the end of the day... or just use your social media to glean the highlights from the day's news. Limit access to the news for the kids. Surround yourself with good news. It's easy to subscribe to or "like" positive pages and beautiful images on your Facebook and Instagram feeds. As you scroll through social media you'll see posts from family and friends, some news and some inspiring images and positive messages. Balance is important. Send love and kindness everywhere. Radiate sunshine and acceptance to everyone. People are awesome. Be kind. Smile at people. Help each other. Talk to someone. Reach outside of your comfort zone and look at people in the eyes and connect. Take care of yourselves and each other. Continue on in peace, love and kindness. I've returned from a restful vacation full of sleeping late, book reading, naps, hikes in the mountains, and sightseeing with my family. We have unpacked, done some household organizing and a little home improvement this week in preparation for me to return to the office next week and see clients for our planned counseling sessions. Then, I received the phone call from the termite guy. For those that know me, you know that I like old houses, vintage furniture and ratty old things. It's my inner gypsy showing. But, what I don't like are termites..... and we seem to have some at the office in Florida. Termites love wood framed houses, especially in Florida. I knew that tenting was planned by the owner of our building, however, due to what appears to be genuine human error, the dates of the tenting on my calendar did not match the calendar dates of the company who is doing the tenting. With my brain still on vacation mode, it was difficult for me to make the shift and understand what the termite guy was explaining to me. He said he would be putting the tent up around our office on Monday, leaving it up on Tuesday and then doing his examination on Wednesday. This news did not match what was on my calendar, nor what was in my head. I challenged the dates, and explained that my calendar said something different. I explained that this was not convenient at all for me or my roommate, nor was it convenient for the thirty or so clients who were supposed to be sitting on our couches next Monday, Tuesday and Wednesday. I was calm. I was persistent. I was understanding. I listened. But, the bottom line was that he was not going to change the dates of the termite tenting and he didn't much care about the inconvenience to all of the folks involved... in a nice way, though. I have learned a lot about extermination in the past two days. Let me tell you now, folks, that apparently, once the schedule is set, it's unstoppable. Chemicals have been ordered, trucks are scheduled to roar across the state, licenses and certifications from various government agencies have been secured and it costs thousands of dollars for the termite company if they have to make a change on short notice. So, at this point, I had a few choices. 1 - Temper Tantrum - No good... as a 51 year old lady, it's not pretty when temper tantrums happen... and it's usually not very effective either. Although it could be entertaining to some, it would not make the tenting situation any better. 2 - Anger Outburst and Blame - My favorite default mechanism that I have to resist... but also, not pretty and not very effective. It doesn't matter who confused the dates at this point. And, if I got angry about it and fussed, I would end up with a headache that would interfere with my plans to paint the trim in my bathroom and it would also ruin my attitude with the kids and the plans for tenting would not change. 3 - Cry - Reasonable. Frustration often leads to tears. Tears are sometimes necessary to release the energy of the frustration. Still not very pretty, but effective in that people tend to feel better after a good cry. But, ineffective, in that the trucks are still coming. 4 - Deep Sigh (with minor cursing) followed up with apologetic email contacts with Laura and my clients that were planned for next week. - Perfect choice. A little deep breathing and letting go helped me to get through stressful conversations with the termite guy and helped me to think more clearly. Organizing my thoughts and getting back down to the business of reorganizing the calendar and communicating with my clients was effective and practical. Fortunately, everyone was very flexible and understanding about the situation. When things don't go as you have planned, it can be a real inconvenience. Frustration, anger, resentment, stress and all kinds of other negative emotions can result from not having control of something you want to control.... Like when the entire office is going to be tented and it wasn't planned to happen and it effects forty people. Learning how to express frustrations and tell your story is important. That's one of the many aspects of the counseling process. Feeling heard is validating. Learning how to accept what is actually happening and let go of control is necessary for peaceful living. Getting down to business to do the work that is needed to regroup and reorganize is how you can move forward and find success. Fortunately, I'm not really a Type A personality, so it's fairly easy for me to let things like this termite tenting confusion and inconvenience go rather than ruminating on it all. But the frustration I felt was real. I've had to learn how to integrate the Serenity Prayer and Cognitive Behavior Therapy Principles into my life and I'm still learning. You can learn how to do this, too. Recognizing the need to let go is a big part of the journey.... for the little things and for the big things. Our emotional health depends on it. Knowing how to reframe our thinking about issues that are beyond our control allows us to, in fact, have control. Let me know what you've learned about letting go in the comments below. I'd love to hear from you. Whether you are going through a personal crisis, a family crisis, a marriage crisis, a financial crisis or some sort of other crisis, please know that it is normal to feel anxious, worried, and stressed. Remember that these feelings could be a totally normal response to an abnormal situation. If you spiral out of control or rain on everyone else's parade while you are trying to cope with a crisis, you could make your situation worse. Behaving badly by alienating your friends and family, increasing your possibility of stress related illnesses or magnifying an already existing clinical condition will only make things worse. When we wallow in self pity, get sucked into the abyss of pessimism and depression, and give up hope, it's hard to see solutions once the cycle is in force. * Breathe. Breathe deeply and consciously. Breathing deeply helps you to relax. Learn to meditate. * Talk to people. Don't hold your worries and anxieties inside. Vent. But only for a little while. Anger and frustration are contagious, so vent for a little while and then talk about solutions. * Socialize and be with the people who love you. Create happy occasions and enjoy them. * Eat well. Lower your sugar intake..... eat vegetables.... drink water. * Exercise. Even a walk around the block will re-energize you and help alleviate depression and anxiety. * Play with your kids, or play with someone else's kids. Enjoy the wonder of the world with them. Learn something new together. *Get support. Seek professional help if you need it. Look for supportive people who won't be judgmental of you. * Do something that you enjoy. Even if you don't feel especially inspired, engaging in a hobby, crafting, reading, relaxing, cooking, entertaining... Do something. Remember that you are in charge of yourself. What you think about the situation will determine how you feel and how you react. If you are centered and calm, you'll be able to get through the crisis with a good judgment and with some peace and health. Recently, I went to a medical doctor who advised me to have a minor surgical procedure. It would be in the office, relatively painless and totally worth it. Even though I know that this person is an expert who is really good at what he does, I had questions. Did I ask? Of course I did! I think that any time that you are consulting with a professional, we need to ask questions, do a little research and ask some more questions before we agree to move forward with recommendations. It's OK to interview your counselor. 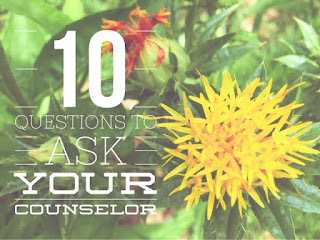 Even though you have researched the list of counselors available to you and have done the required soul searching to decide to pursue counseling, and are, in your heart, ready to seek counseling, you probably still have questions. Especially if you are new at counseling, you are probably nervous about the process. Just as I was nervous about getting a procedure completed with my expert doc, you may be similarly nervous and curious. Asking questions can help you to understand the process, build trust with the counselor and help yourself make decisions. Like the medical procedure, counseling takes place in the office, is relatively painless and totally worth it. 1 - What happens during our first meeting? Counselors tend to be very open about what to expect in their office... and each office's procedures and systems are slightly different. Usually the first session is all about you explaining your situation while the counselor listens. It is during this first session that counselors talk with you about goal setting, making a plan to continue meeting, making referrals if needed and discussing logistics. Every counselor is a little different based on their guiding philosophy and personality, but this is generally how it goes. 2 - What is your office like? Sometimes, knowing what you are about to walk into helps to calm anxiety. Some therapists have a photo of the office or a description on their websites like I do. Visuals and expectations help. 3 - What is your counseling approach or philosophy? Knowing the counselor's training and general philosophical framework can help you to decide which counselor you want to see. 4 - How long is this going to take? A reasonable question, for sure.... but be prepared for the answer. Everyone's situation is different. Some people figure out what they need to figure out very quickly. Others need extra help. Some people have very complex problems with multiple layers that need time to be sorted out. Most counselors, however, want you to be able to sort things out and then move on with your life. The days of staying in therapy for years and years is mostly over. 5 - How much does it cost? Most counselors have this information on their websites, but ask the question anyway for clarification. You may want to understand the process of private payment versus using insurance, for example. 6 - Do you have experience helping others with my issue? It's helpful to know that the counselor you are going to see has experience. 7 - Will you tell me what to do? Counselors will offer suggestions and recommendations at times. Sometimes, counselors will assign homework for you to do in between sessions. Mostly, counselors are not terribly bossy. However, I admit, that there have been times that I have truly urged folks to see their doctors or to read a relevant article. Everyone has free will, so it's up to you whether you follow recommendations or not. So, the answer to this questions is likely to be "well, maybe..."
8 - Will our meeting be confidential? It's important for you to feel safe with the counselor. Confidentially is a huge part of this. You should understand the limits of confidentiality. 9 - What happens if I disagree with you? It really is ok if you disagree with the counselor's thoughts, interpretations, recommendations or suggestions. You are there for a consultation and council. If you hear something that doesn't feel right to you, just talk about it. It could be that the counselor is trying to help you get unstuck... which could be uncomfortable but a very good thing in the long run. 10 - What if we aren't a good fit? If you don't feel comfortable with the counselor, just talk about it. 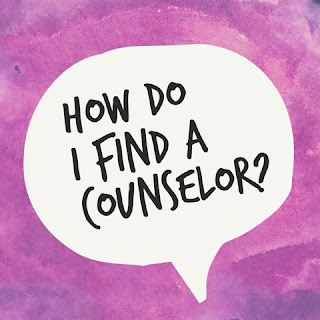 The counselor wants to help you, so if you can explain why it doesn't feel right to you, you may get a referral to someone else. 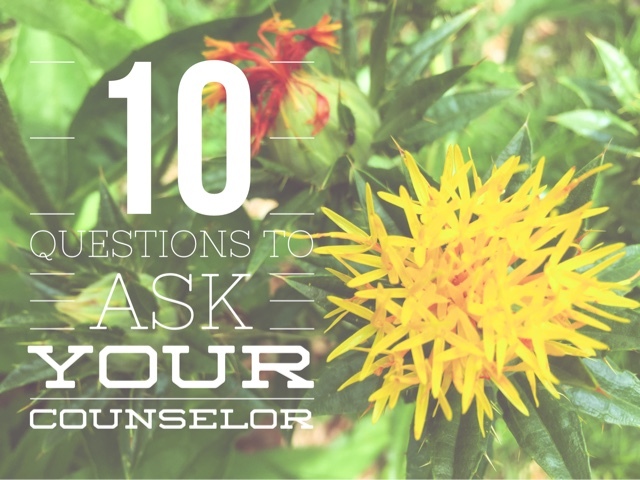 What other questions would you like to ask a counselor before you go in to your first session? Comment below and let me know. So, you've decided that you'd like to talk with a counselor. So, how do you find a counselor? That's easy. You can just randomly pick one from the many listings in the local directory or online with a simple google search. 1 - Check on Google for Website Research. 2 - Take a Look at Therapist Finder Boards. There are hubs where counselors offer to list their practice as a resource for consumers. You'll be able to search the directories for your zip code, see a list of counselors who participate in the listing, and read a short description of the counselor and their philosophy. There is often a link for contacting the counselor easily and maybe even a photo. Psychology Today and Good Therapy are examples of these hubs. 3 - Check the Professional Licensing Boards. Each state offers a listing of counselors who are licensed to practice through the state Department of Medical Quality Assurance. You want to find a counselor who is state licensed. On these lists, you'll be able to verify licensure and check to be sure that the counselor is in compliance with state regulations. National Board Certification is a bonus. You can see a list of counselors who are nationally certified on the National Board for Certified Counselors site. You may also read a bit about ethics and consumer protection there as well. 4 - Ask Your Friends and Family. There is nothing better than a personal recommendation from someone you trust. Ask your friends. Ask your neighbors. Ask your family. There's no shame in meeting with a counselor, so there's no shame in asking for referrals. And, besides, most of your friends and family members have probably met with a counselor at some point, so they will know the scoop. 5 - Ask Your Doctor and Other Helping Professionals. Gynecologists, pediatricians, internal medicine doctors and other medical specialists are able to offer you referrals to counselors in the area that they know and trust. And, don't forget to ask other helping professionals, including hairstylists, massage therapists, Estheticians, and other service oriented folks. They listen to people talk about their lives all day and probably have a great list of counselors they could mention to you. It has to feel right to you. It's so very important for you to feel a connection to the counselor that you choose. Sometimes you click and sometimes you don't. The value of counseling is so great that I encourage you to not to give up. If you meet with a counselor a couple of times and it doesn't feel right, then it's probably not right. Talk to the counselor about it and ask if the counselor could help you find someone else who might be a better match for you. We all just want to help you feel your best. Don't give up. It's all about you. Have you found a counselor in any other way? Share in the comment sections below. Copyright 2016, Stacey Brown. Simple theme. Theme images by gaffera. Powered by Blogger.